four private landowners worked with the Watershed Council to remedy eight fish passage barriers with “Fish Friendly” crossings on lower Blair Creek. Five culverts on Blair Creek and one culvert on Gellatly Creek were replaced with larger countersunk pipes. 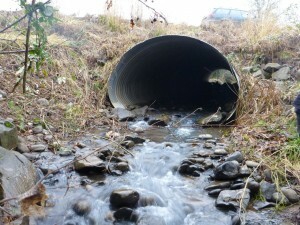 A graded rock riffle was constructed to backwater the lower Gellatly Creek culvert under Hwy 34. 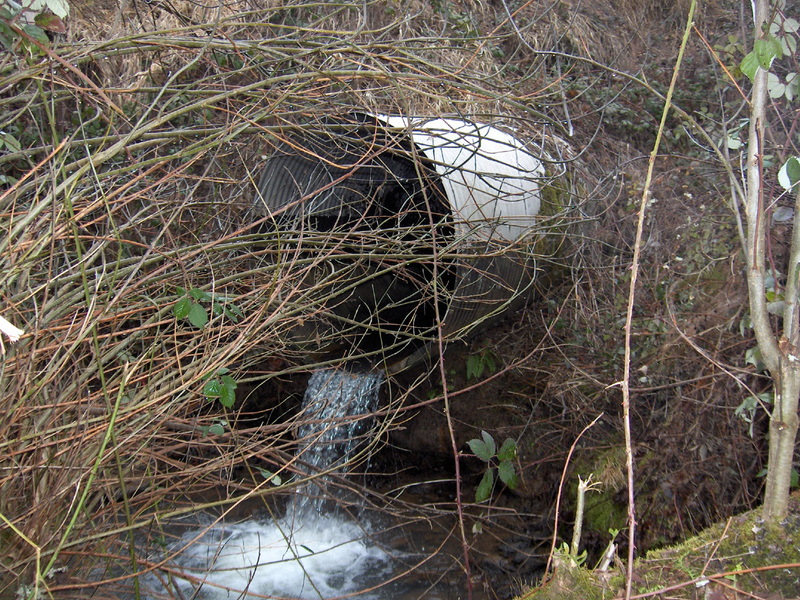 This is a concrete box culvert that would have been cost-prohibitive to replace. 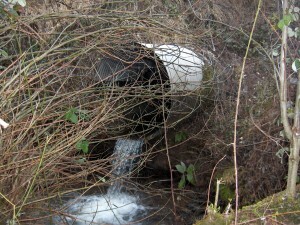 The graded riffle served to backwater the pipe to remedy the perch at the outlet. One culvert on Blair Creek was removed and replaced by the landowner with a foot bridge. Six passage barriers remain to be remedied on Blair Creek in the future. Board, Oregon Dept of Fish & Wildlife, Freshwater Trust and Benton County.